The balloon flight is an unique experience that you will remember for all your life, like the first love. In 1783, the first aeronauts were begining an epic quest that would lead to interplanetary flight. 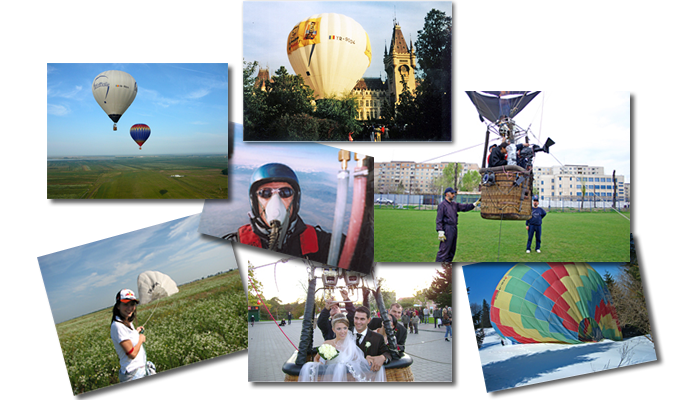 A balloon flight can be a memorable gift, a special party or a marriage proposal that cannot be refused. The balloon may be the ideal medium to promote your image. Its dimensions: 22m high, 18m diameter and its large exhibition space: 2x40mp make the balloon a means of advertising that will turn heads wherever it will be met, on the ground or in the air. Integrated in complex advertising campaigns, or in individual programs, the hot air balloon is the novelty that will make a difference. In an age increasingly rushed and crazy, we offer you the romantic pleasure of a safe flight.